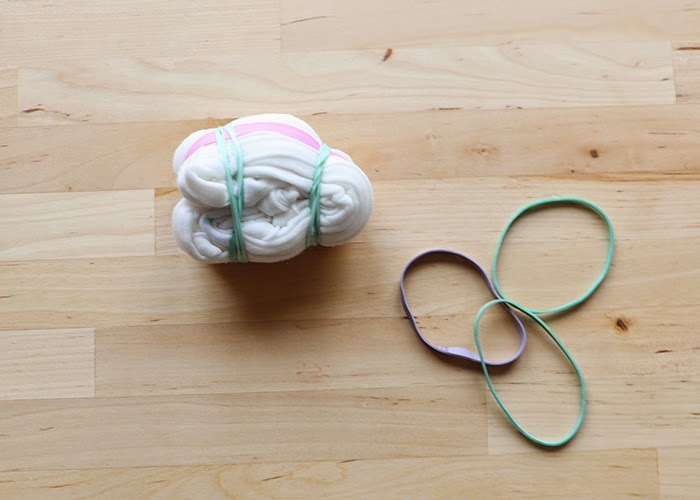 Here's the modern tie dying technique for this environmentally-minded generation and a perfect Valentine's Day activity for the fam. Grab some cotton threads (white is best), old berries and two pots. 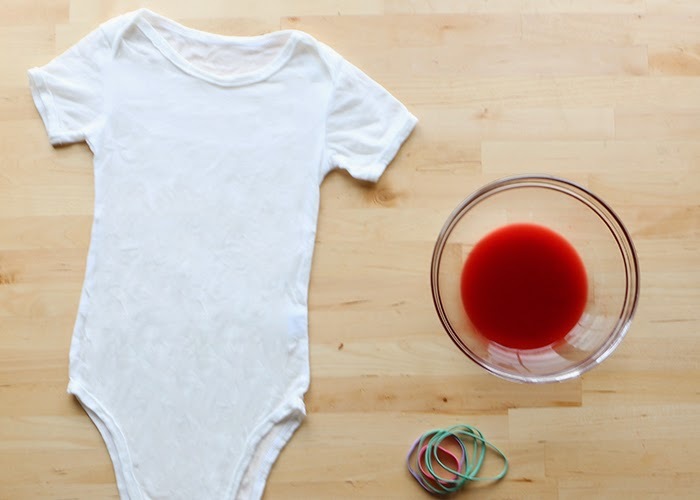 We chose to dye one of our organic cotton onesies with raspberries and strawberries, but there's a surprisingly long list of plants you can use as natural dyes. 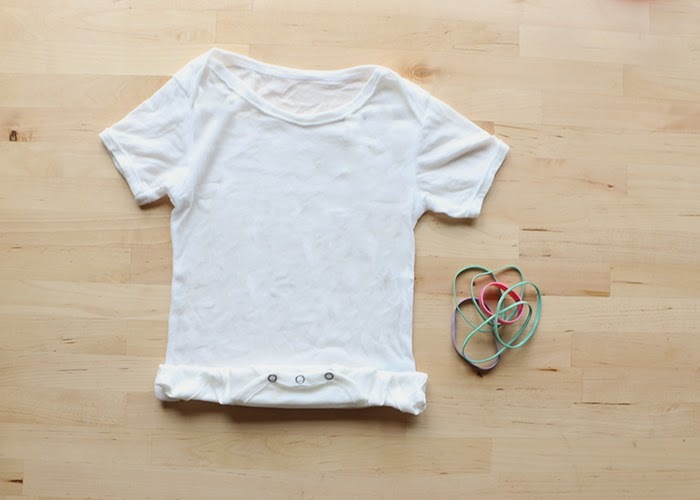 First, you'll have to soak the cotton in a salt bath (1/4 salt + 4 cups water) to prep it for the dye. 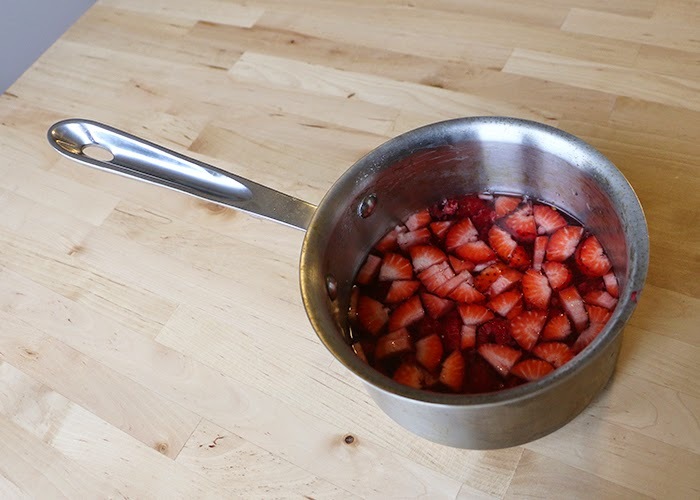 Simmer the cotton and salt water mixture for one hour. 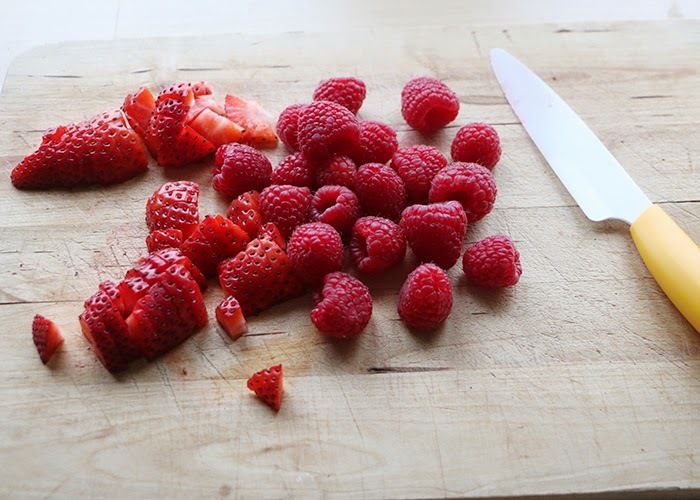 In another pot simmer the sliced berries and water for about an hour - the mixture should be 1 part berry to 2 parts water. 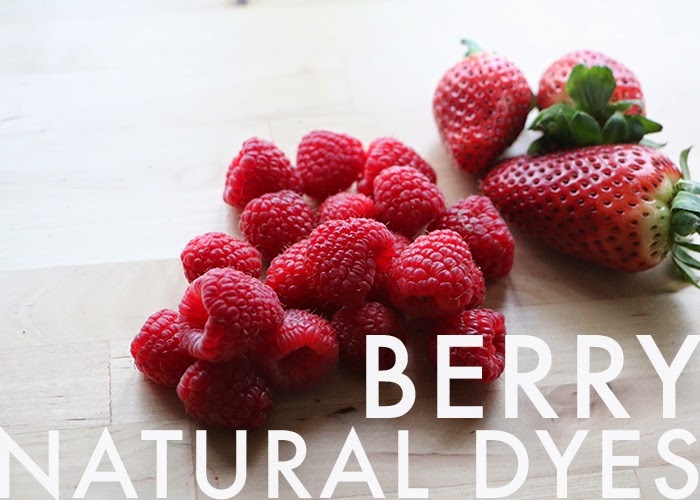 Strain out the solid berry matter (keep for baking or smoothies) and keep the liquid in the pot. Wring the cotton and rinse in cold water. 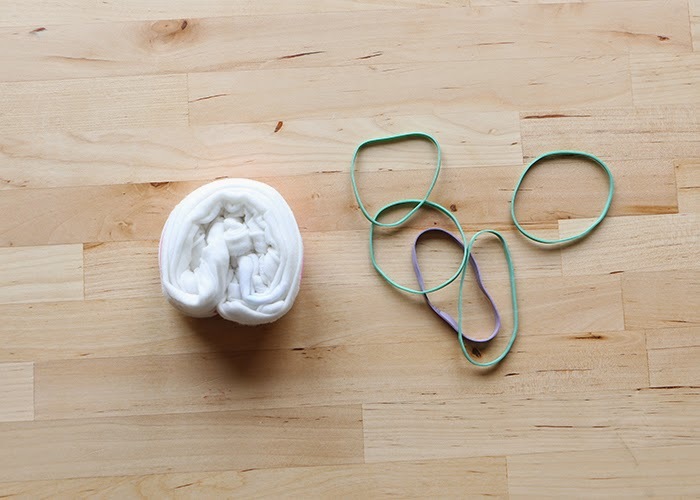 You probably have a favorite tie dye technique from back in the day, so grab some rubberbands and go for it. We went with the accordion technique to end up with some wispy parallel lines on our onesie. 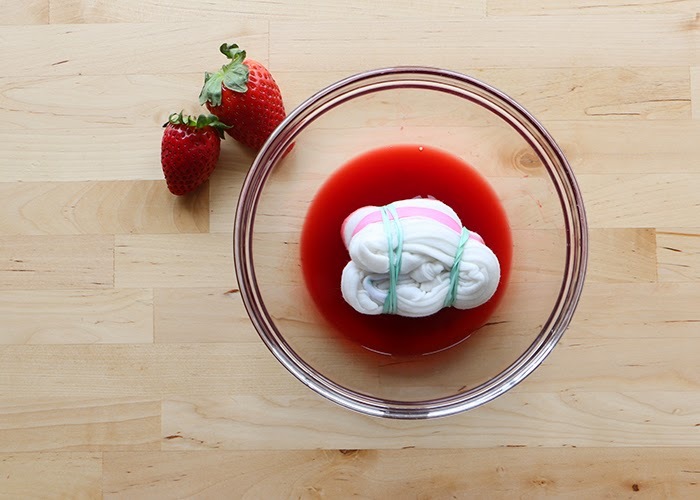 Now add your bundled cotton to the liquid in the pot and simmer for about an hour or until you reach the desired color. A longer method is leaving the cotton to soak overnight (which we opted for). 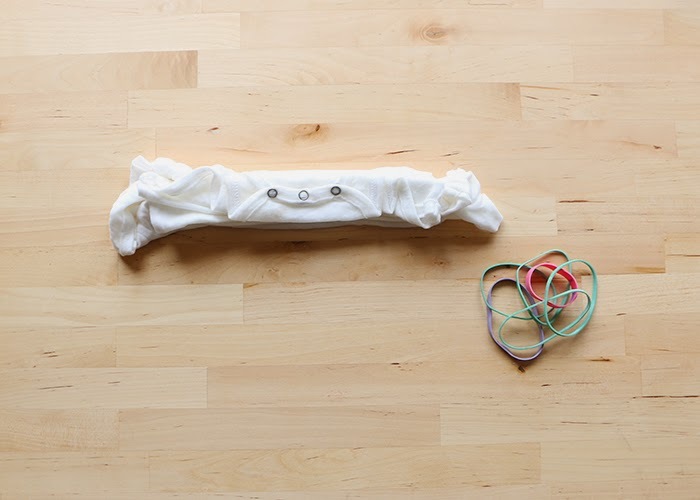 Unravel, rinse in cold water and dry. Note that the dye will fade slightly over time.